This essay is included in the recently released National-Anarchism:Ideas and Concepts, edited by Troy Southgate and available from Black Front Press. 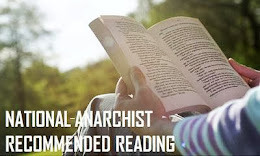 Anarchism today is primarily theoretical in nature, and an unfortunate amount of anarchist interaction consists of debate over which hyphenation is best. 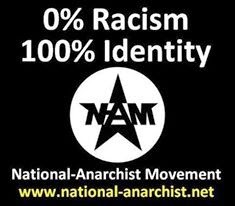 National Anarchism may seem to participate in and perpetuate such an argument at first glance, but its lack of universalism actually makes it the most inclusive and diverse school of anarchist thought. Despite the fact that some National Anarchist tribes may choose not to associate with certain communities, their underlying philosophy–that everyone has a right to autonomy and sovereignty–creates a sense of mutual respect absent from most anarchist disagreement. This characteristic of National Anarchism has serious pragmatic implications. When anarchists stop spending their time and energy dictating to others what “true” anarchism is, they have a lot more potential to actually put their beliefs into action. 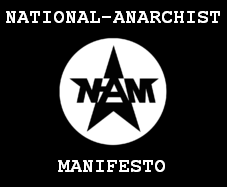 The practical applications of National Anarchism consist of creating tangible manifestations of its theory. Philosophically, every community has a right to freedom and self-determination, but how is that right being implemented? The state is oppressive and exploitative, but how is that criticism being exercised in the real world? Marx hypocritically posited that the state would wither away once communism was in full force, i.e. that employment of a state structure was necessary for state eradication. In fact, the state and its corporate partners will only disappear once they become irrelevant, and their irrelevance depends upon the creation of substantial alternatives. An independent system of parallel economies and institutions–agorism–is possibly the sole way to accomplish this. Agorism represents a direct attack on the governmental and corporate monopolies by not only subjecting them to boycotts, but also empowering the masses to actively compete with them. 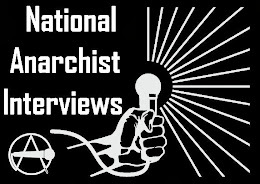 National Anarchist communities would likely establish institutions consistent with their values; these might include cultivation of localized currencies, barter networks, non-usurious people’s banks, trade guilds, social welfare and healthcare programs, community self defense associations, and a variety of educational programs. This is the most likely method by which the state will disappear, contrary to Marx’s utopian idea that a centralized communist state would naturally evolve into anarchism. Each tribe’s vision of sovereignty may differ, but certain necessities for independence can provide broad guidelines for concrete community projects. Total economic autarky may not be every tribe’s objective, but maximizing self-sufficiency is crucial to decentralization. 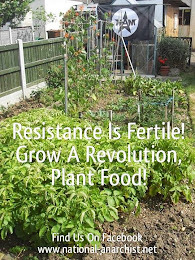 One of the most effective ways to attain this is homesteading, whether as individuals, families, or communities. Homesteaders use the resources of their land to become as independent as possible, growing crops, harvesting firewood and building materials, making home-spun goods and crafts, raising animals, creating value-added products for retail, blacksmithing, foraging and hunting wild foods, and more. By actively creating its own vision of freedom and autonomy, every anarchist group can live out its philosophy. The importance for anarchists to directly apply their theories in their lives is reflected by the ancient Greek concept of praxis. The word praxis refers to any activity in which a free man participates, and Aristotle identified three forms of a free man’s energy: theory, creativity, and action. This relationship between thought, practice and production is symbiotic; they are not merely connected, but they are synthesized, simultaneous, and interdependent. It is not sufficient for a highly intelligent and critical philosopher to merely think, speak and write. Anarchism poses little threat without actions that correspond to its ideas of freedom and voluntary responsibility. 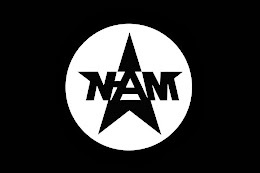 The idea of praxis is compatible with National Anarchism because it does not inherently contain any moral judgment about what an individual or tribe decides to do; rather, it provides a lens through which individuals or tribes can self-evaluate in terms of their own values and what they believe to be true about the universe. Praxis is the manifestation of theory–any theory to which a community adheres. Its applications in education (autodidactic or otherwise) imply hands-on learning based in experience that is relevant to the real world. Praxis is a useful concept to consider when setting and achieving external goals, and it also reveals the degree to which an anarch has fulfilled his or her own personal potential as a human being. 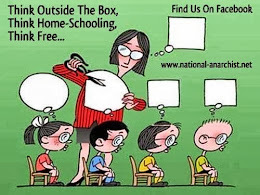 Freedom of thought and freedom of action are complementary elements of anarchism. One is nothing without the other. Unfortunately, many lack an awareness of this harmonious relationship. 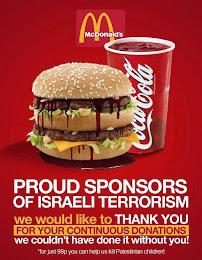 It seems that globalized culture’s obsession with instant gratification has rubbed off even on anarchists, many of whom immediately gravitate towards the most extreme methods of attacking the system. But actually living in communities of anarchs with the intention of sustaining them for generations will be an incremental process. 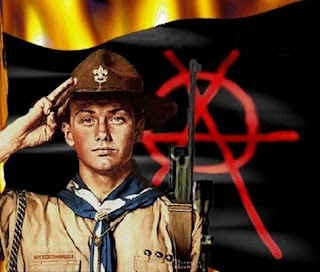 The most realistic and potentially successful approach is to start small and remember the Zapatista motto “lento pero avanzo.” The full attainment of independent systems of self-sufficiency and agora will take years, as will the full impact of its effects on the new world order.